J.J. Abrams has surprised audiences with a secret, new movie, 10 Cloverfield Lane, which is slated to drop on March 11— in less than two months. Check out the trailer from Paramount Pictures below, and let us know your thoughts in the comments! The trailer for 10 Cloverfield Lane premiered during the first screenings of 13 Hours. The new movie is essentially a sequel, a “blood relative,” to the 2008 Cloverfield— either taking place in the same universe or a part of the possible anthology series. 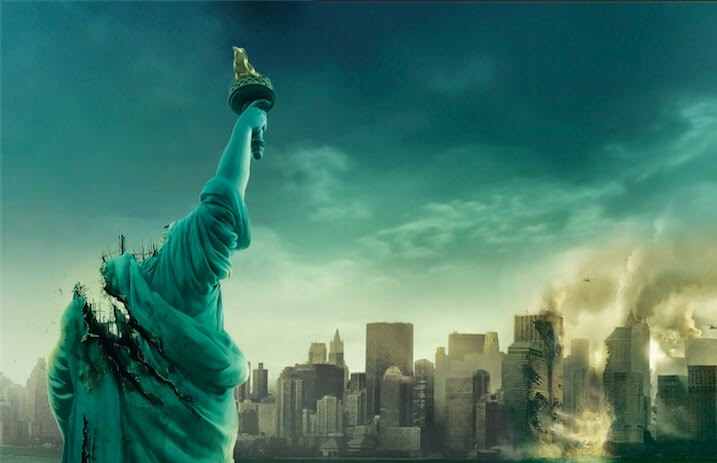 It was known that a film was being made, but no one knew of the connection to Cloverfield. 10 Cloverfield Lane was originally titled The Cellar And Valencia, telling the story a woman who wakes in a cellar with a man claiming that she cannot leave because something unfathomable is occurring outside, most likely where the Cloverfield aspect comes into play. 10 Cloverfield Lane is directed by Dan Trachtenberg and written by Josh Campbell, Matt Stuecken and Damien Chazelle.